In the short video clip below, participants at the first NGL retreat in June 2018 in Poland share what inspired them to come to the retreat and what they learned during their week as part of the NGL community. Collaboration and co-creation form the basic foundation of how NGL operates. For the duration of this retreat, we invite you into this experience by becoming an active player in shaping what our time together will look like. Rooted in the NGL Framework and inspired by the needs of participants, NGL trainers will offer teaching sessions, practice spaces, and coaching in one or more of the areas named above. For anyone who attended the 2018 retreat, the structure of this 2019 retreat will be quite different. Responding to feedback from the 2018 participants, the retreats organising team have been working to design a structure that is more actively responsive to the needs of participants, which supports us to more effectively move together in the direction of our purpose. Within this, in parallel to sessions held by named NGL trainers, participants will be encouraged to present workshops, practice sessions, coaching, and empathy both within the NGL framework and in their own areas of focus, also inspired by the needs of the participants. The retreat will be held in English. The retreat team consists of an international group of trainers and organisers, all active members and core designers of the NGL community. 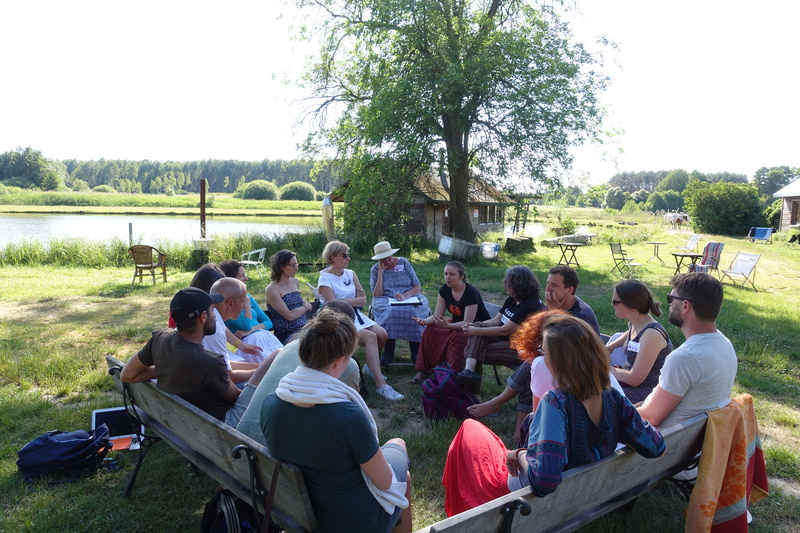 They bring a breadth and depth of experience sharing Nonviolent Communication, facilitating groups and consulting: living and applying the NGL framework within organizations and communities. 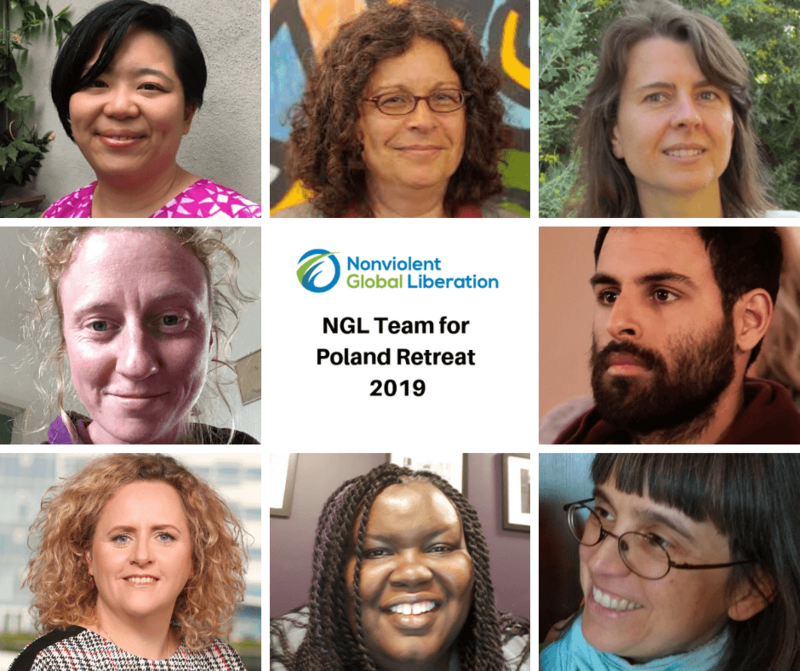 The NGL Team for this retreat will consist of: Magda Baranska, Asia Berendt, Paul Kahawatte, Miki Kashtan, Uma Lo, Verene Nicolas, Emma Quayle, and Leonie Smith. NGL operates in the gift economy. By matching resources to needs we aim to create a retreat that is sustainable for all. This is an art-form and part of our commitment to learning to create a world that works for all. We invite you to step into the gift economy with us. This means that rather than being requested to give a certain amount, each person will be invited to contribute to the sustainability of the retreat on the basis of needs. Last year the amounts that were contributed varied from $26 to $1950. In the context of this retreat, there are also the external costs (eg. the venue, flights), which operates in exchange. 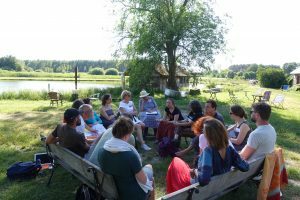 Thus we collect money from participants to cover sustainability of the retreat is split into both gift economy and a set amount of costs. Upon registration, you are asked to give a deposit of $400, or less if you are unable to provide the full amount. We do not at present have the capacity to include the room and board costs within the gift economy experiment. Room and board costs are therefore separate from NGL retreat sustainability and are given to different organizations. These are non-negotiable and required by our host venue. In the last few weeks before the retreat, we plan to share all the information that we have about the costs of running the retreat, the estimated material needs of the retreat team and what the total amount of contributions has been so far. Information sharing: We plan to provide full information about the costs of running the retreat, the estimated material needs of the retreat team and what the total amount of contributions has been. This will allow each person to decide how far they can and want to stretch. Opportunity to connect about the vision we have, the possibility of receiving without giving, and the meaning of giving as a gift, not as an exchange. This includes opportunities for discussion and for empathy about all the complexities that arise as we make these shifts. Money collection: We plan to give all participants the opportunity to contribute financially based on a combination of your desire and capacity having heard the information shared. This can be done using BayNVC website, where you have paid the deposit, with cash or a pledge. Money distribution: We plan to make transparent decisions about how the money thus collected gets allocated to retreat team and possibly others, too. If you are not quite ready to step into the full gift economy, we are confident that choosing any amount between US$600-1700 would work for us. So upon the registration, please give a deposit of US$400 (or less if you are unable to provide the full amount at the time of registration). Then ensure to send the outstanding contribution by 15.04.2019 using the alternative amount button below. 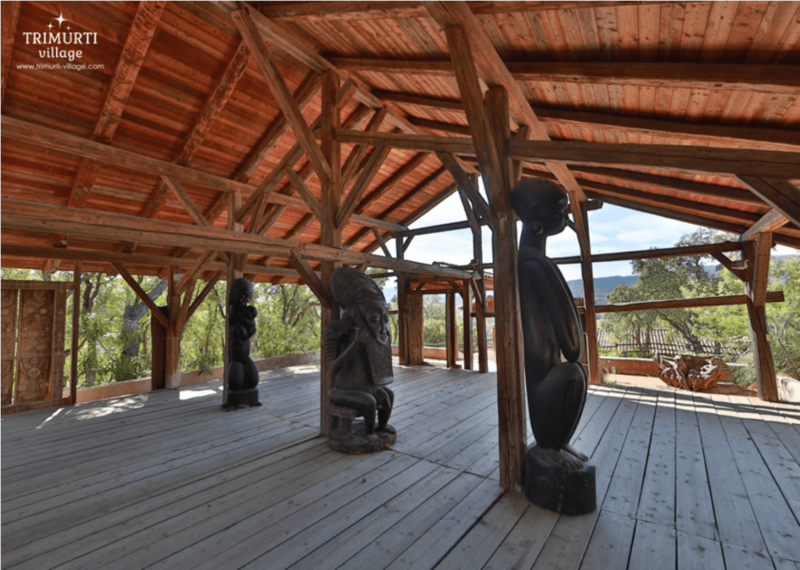 It is our intent to make this retreat available to anyone regardless of their financial means. If you need more clarity about the amount that would work for us please contact the organizers. We would like to make it clear that contributions toward the sustainability of the retreat team are in addition to and separate from room and board costs, and is given to different organizations. The workshop will be held in Zagroda Ojrzanów which is located near Warsaw in beautiful surroundings. It is an amazing place with a small lake for swimming, bikes to rent, forest to walk in, and great food. Due to remote location, the internet access is very limited. It takes half an hour by car from Warsaw Airport Okęcie (WAW) or central train station and an hour from Modlin Airport (WMI). We offer you private transportation from both airports and the train station to the venue. Room and board costs are separate from the gift economy and do not contribute in any way to the sustainability of the retreat. These are non-negotiable and required by our host venue. You will pay in cash in Polish Zloty PLN directly to the venue when you arrive. When you register for the retreat, you will receive a link to an Accommodation, Meal and Transportation Options Form, where you will be able to let us know about your preferences, so that we can take care of you. Room assignments are subject to availability and are first-come-first-served. Please see options of food and accommodation for the whole retreat. Packages include meals starting from lunch on 9th May ending with lunch on 15th May. If you need transportation from the airport or bus/train station to the venue, we can offer you private transport. Please feel free to ask for details if you need more information now. We are both excited and regretful to report the retreat is filled to capacity and registration is closed. Please contact Magda Barańska to be put on a waiting list. If you cancel by March 24, 2019, we will gladly refund what you have given minus $100 to cover our administrative costs. If you cancel after March 24, 2019, but before April 14, 2019, we will refund what you have given minus $400 to cover venue costs in addition to administrative costs. If you cancel after April 14, 2019, we offer no refund; however you may transfer your registration to someone else.